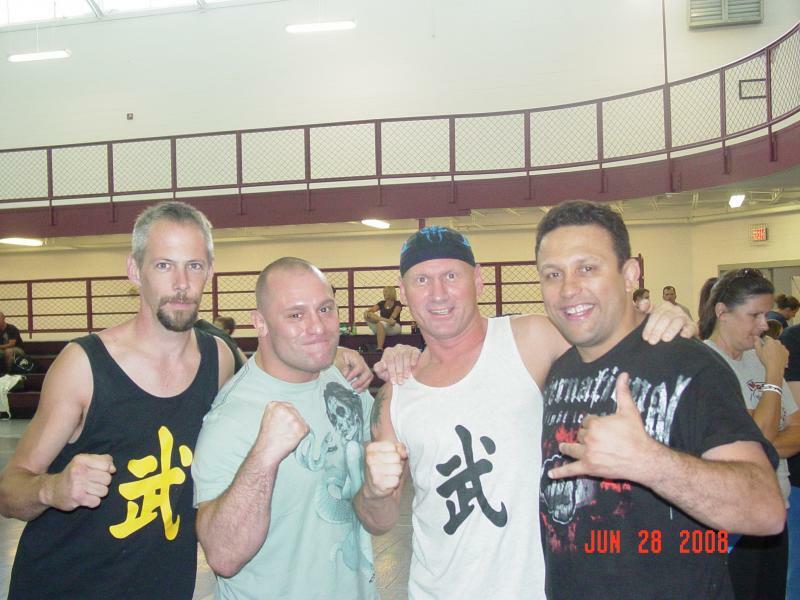 From left to right: Black belt Dan Snyder, UFC champion Matt Serra, Mace head instructor James Olewiler, and UFC champion, as well as WEC pitbulls coach Renzo Gracie of the famous Gracie Jiu jitsu at AIKIA karate college in Virginia 2008. Three days spent in intense mixed martial arts and Jiu jitsu training with champions. Students at Mace present World Champion Jiu jitsu Black belt instructor Daniel Beleza from Brazil with a bracket chart showing his win at the World Jiu jitsu games. 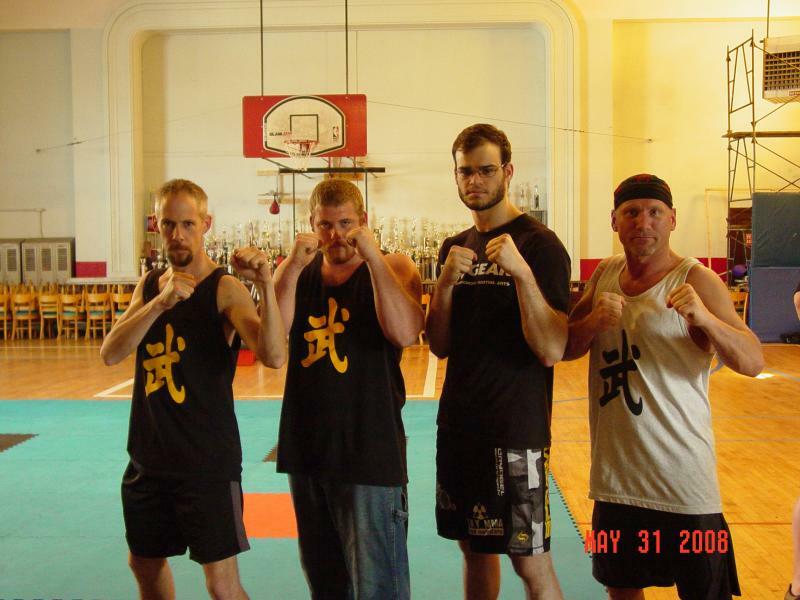 From left to right: Black belt Dan Snyder, Mace student: Justin Walters, UFC champion, Ultimate fighter Tamden (Barn cat) McCroy, and Mace Head Instructor Sensei James Olewiler at Grant's Martial arts, after completing three days of intense mixed martial arts training. 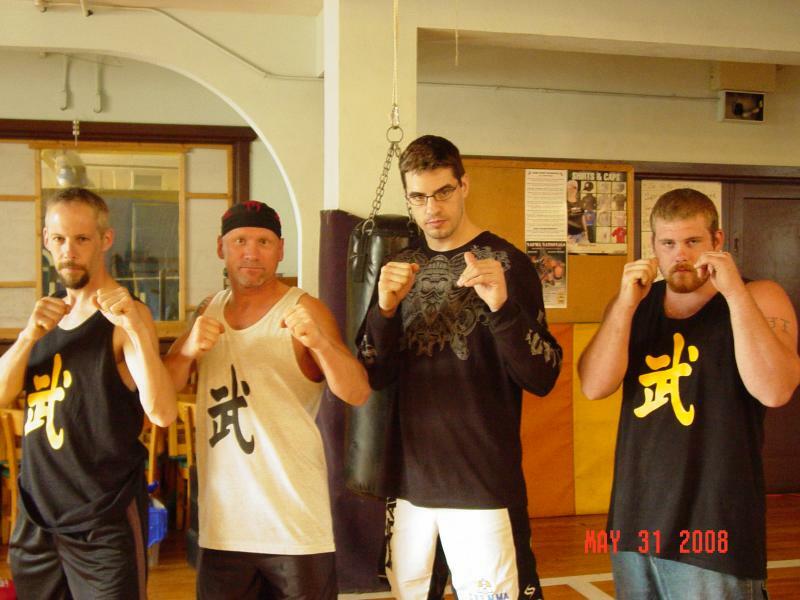 Fom left to right: Black belt Daniel Snyder, Mace head instructor James Olewiler, UFC coach and fighter Eric (Chainsaw) Charles, and Mace student Justin Walters. 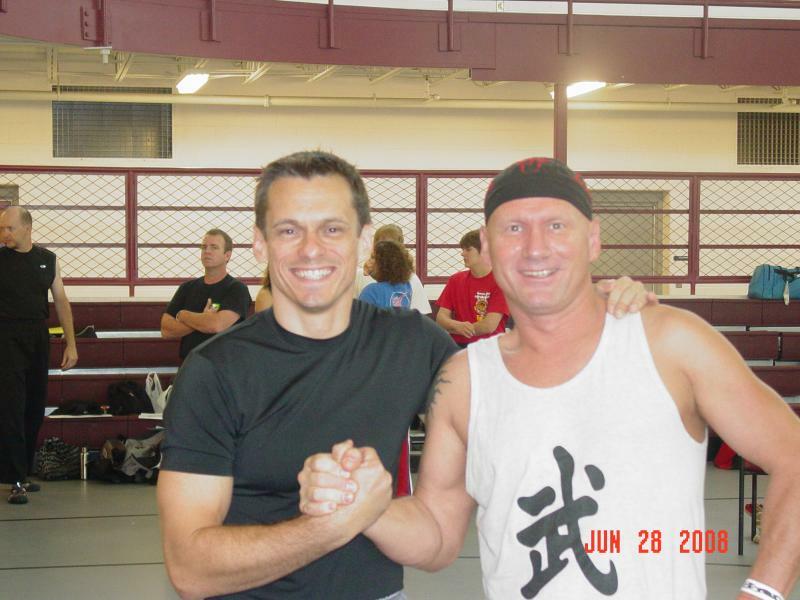 No Holds Barred, Submission Wrestling Coach and Author Mark Hatmaker with Mace head instructor James Olewiler.